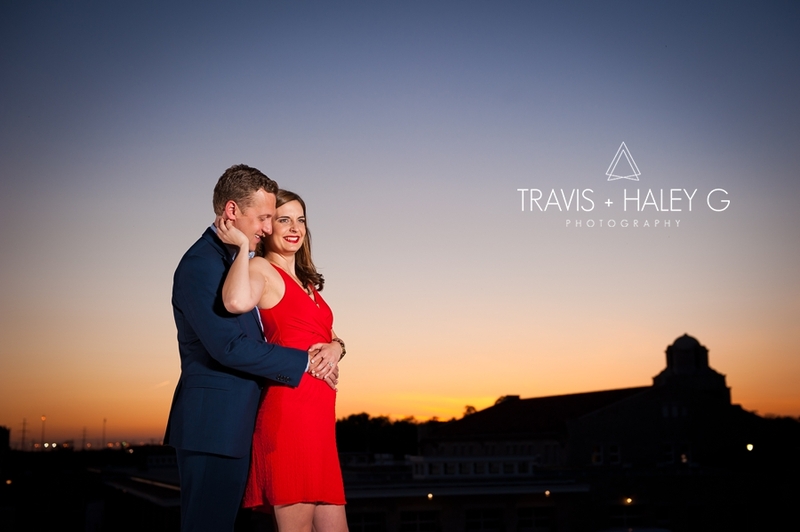 Kevin + Jessica are such a fun and classy couple! We always have so much fun photographing our couples and love it when they have fun too! 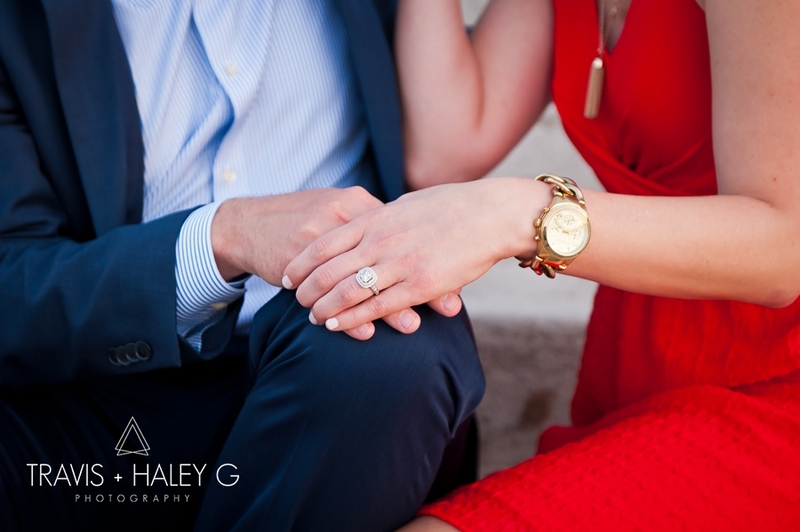 Engagement sessions are a perfect excuse for the couple to get all dressed up looking fabulous and feel like a rockstar while celebrating their engagement! And once the pictures are taken, and the sun has set, its time to enjoy just the two of you! You are already dressed up, why not make a date out of it?? Even if its just getting your favorite ice cream! 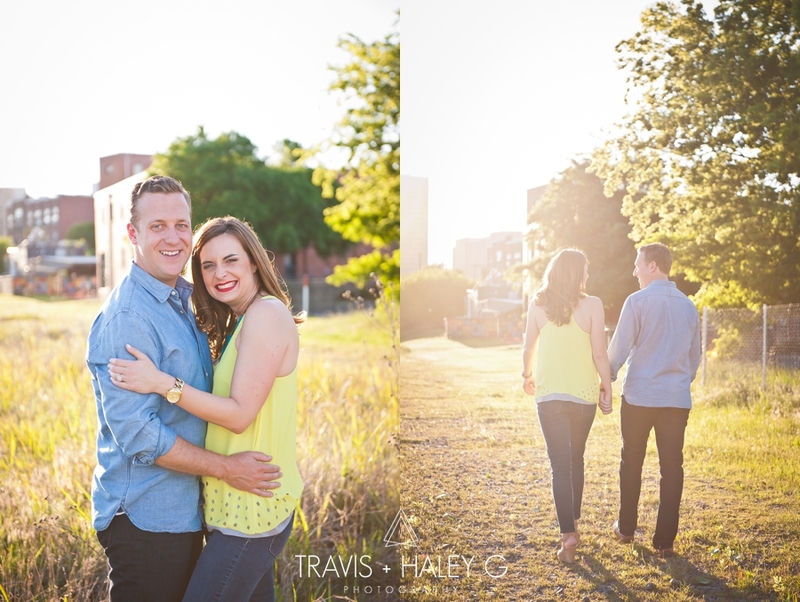 Kevin and Jessica were such a joy to work with and we can’t wait to be apart of their wedding day! 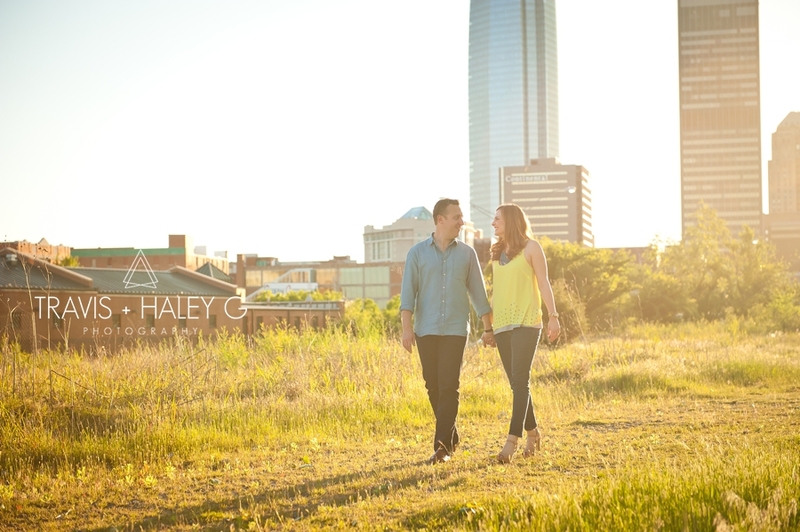 We started their engagement session in a beautiful secluded location in downtown Oklahoma City. 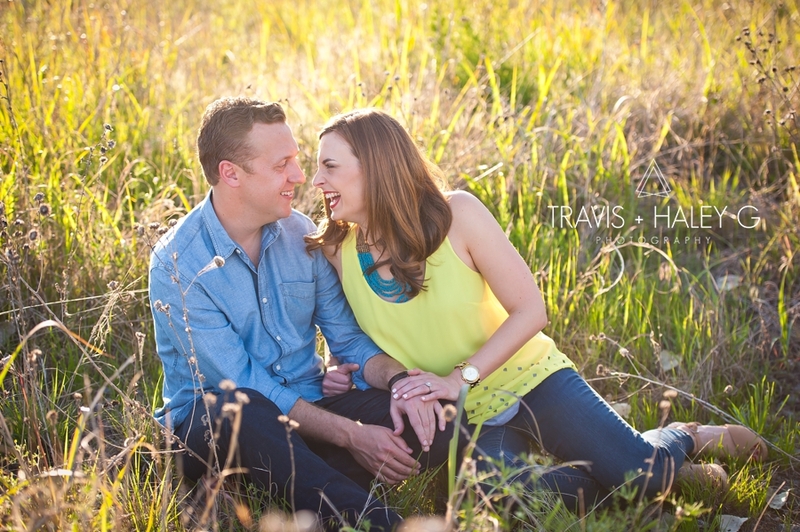 We just love this spot as it has tall, pretty green grass with a great view of the cityscape as cool backdrop. There was so much gorgeous sunlight peeking through the buildings to give that warm, organic feel! 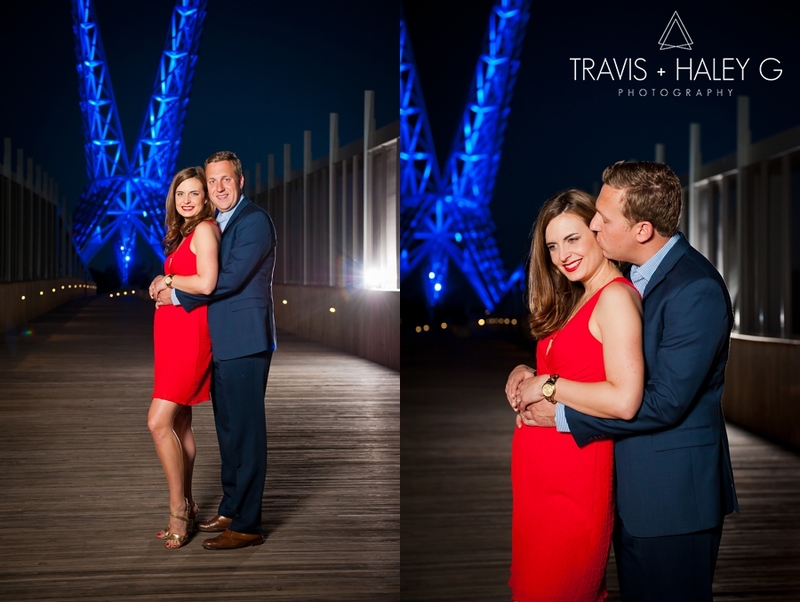 Kevin and Jessica had raved about how our night photos are so cool and vivid! And they had requested a few night photos with the OKC skyline. 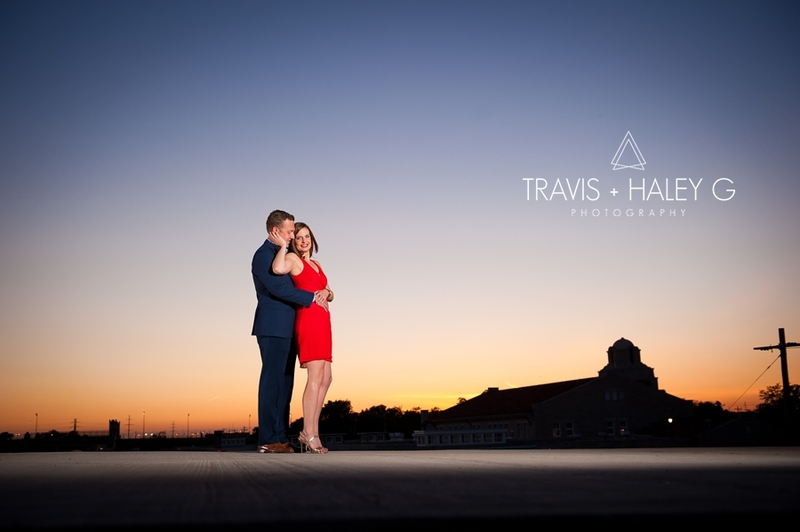 While we waited for nightfall, the sky was so gorgeous that we had to take advantage of the amazing Oklahoma sunset! And if you didn’t know by now, we love Oklahoma sunsets, they can produce some of the most brilliant shades of blue, purple, orange and yellow! We met in a Leadership Oklahoma City class called Loyal where we met every other week for a whole year. We went for a happy hour afterwards and have pretty much been together ever since! We had been dating almost a year before he proposed. We pretty much knew after 6 months and just decided why wait? We were going skiing with friends over a long weekend and two days before we were supposed to go he said were going to dinner with those friends to get everything in order for the ski trip. Well, it was my one night off that week and I was so tired and kind of cranky that we were meeting up. I took a nap for about 30 minutes and I was super grouchy after I woke up. I complained about going out again and he told me to go put on a different necklace because it didn’t look good. I was so mad that he cared so much about what necklace I was wearing because he never comments on that and I was super irritated. I asked him why he cared so much and he said “It would go better with this” and got down on one knee and proposed right there at my house. It was so sweet and perfectly simple which is exactly how we are. I kept apologizing for being so mean before I finally remembered to say, “YES.” Next, he told me we were going to my parents to show them and when we got to my parents he had surprised me with all of our friends and family there for a party. It was amazing and perfect for us even though I had been so mean earlier!